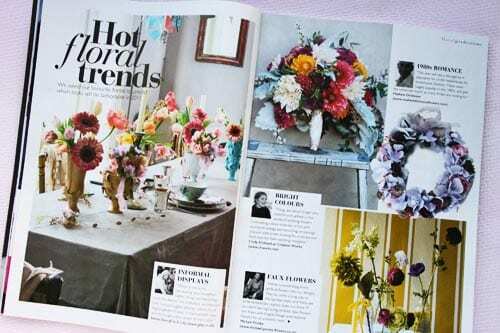 Oh, how I wish I’d known about Wedding Flowers magazine when I was getting married! 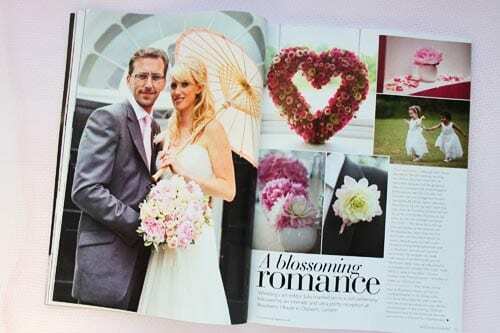 It’s a publication available in the UK, providing floral inspiration for brides-to-be. I would highly recommend buying it if you’re getting married and aren’t sure where to start when it comes to choosing your wedding flowers. 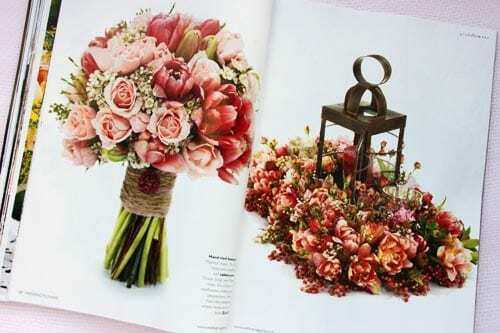 The magazine features pictures of gorgeous wedding bouquets, latest floral trends, articles on how to plan your wedding flowers, plus diary dates for wedding shows and flower courses. Reading it will help to give you ideas about the style of your bouquet and the colour of the flowers you’d like on your special day. Below are a selection of pages from the most recent edition (February/March 2011), to give you a taster. 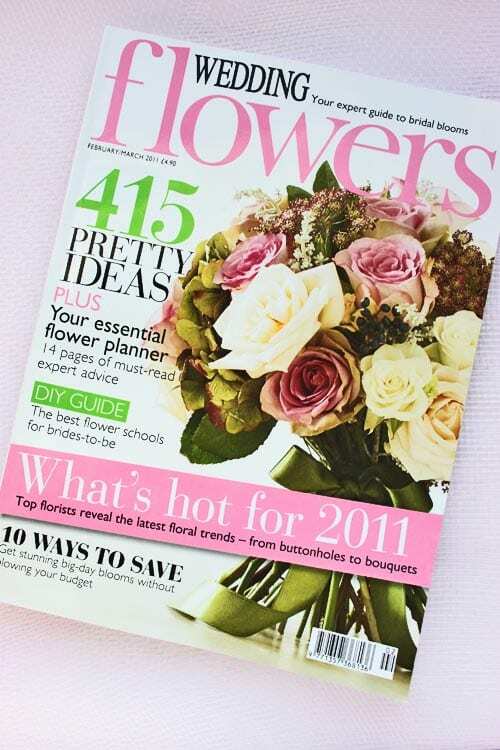 So, if you’re getting married this year, why not pop into your local newsagent today and pick up a copy of Wedding Flowers magazine? It’s published every two months and if you’re not familiar with flowers, it’ll really help you learn to recognise the different types and their names. Or if you know someone who’s planning their wedding, you may like to mention the magazine to them. Also, for those based in the UK, you may be interested in visiting The Designer Wedding Show for further wedding inspiration. It’s on from Friday 11th February to Sunday, 13th February at Battersea Park in London. Tickets cost £16. 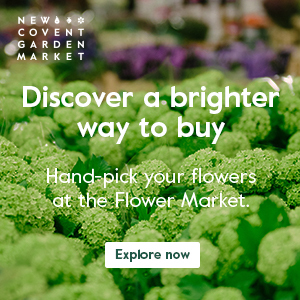 The show features not only florists, but also wedding dress designers, photographers, menswear, bridesmaids’ fashion, couture shoes, designer jewellery, fashion for the mother of the bride, cakes, venues, gift lists, millinery and stationery. 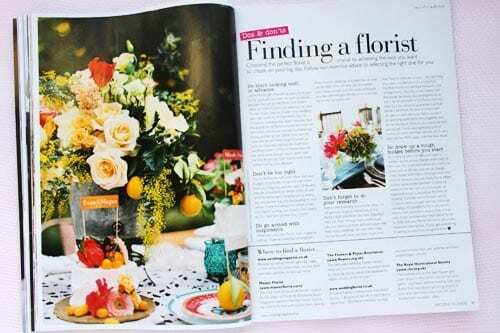 I hope you enjoy reading Wedding Flowers magazine…do let me know what you think. I love all the information you are passing on about courses, magazines and shows. Very interesting. can you tell me where i can purchase wedding flowers? Since Borders has closed i can not find it anywhere! Hi Emma. I normally buy it in WHSmith or our local newsagent who has a large selection of magazines. You can also subscribe online to receive it :http://www.hubertburdamediauk.com/subscriptions.php Hope you manage to get a copy soon! 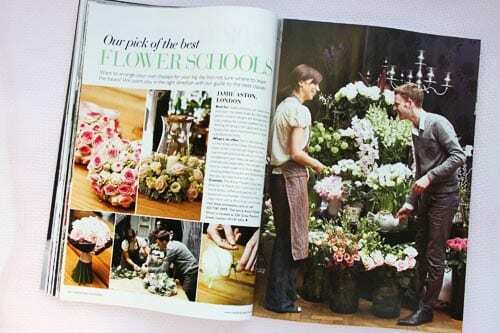 Hi Rona, this magazine is amazing I just finished the Judith Blacklock course in floristry and it was amazing now when I look at this magazine I think to myself hey I can do that! Hopefully have one of my bouquets up there soon!!! Hi Nawaaz. Glad you liked the post about Wedding Flowers magazine. The July/August issue is on sale on June 9th :-). Hi Rona, I use this magazine as part of my wedding consultations and that is why I need your help. 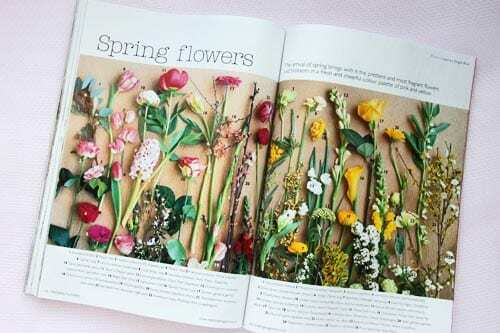 Someone has “borrowed” my Feb/March 2011 issue and I need to see the bouquet on page 56 to do for a bride next week. Would it be possible for you to email me a copy of that bouquet? I would really appreciate it. I’ll see what I can do :-). 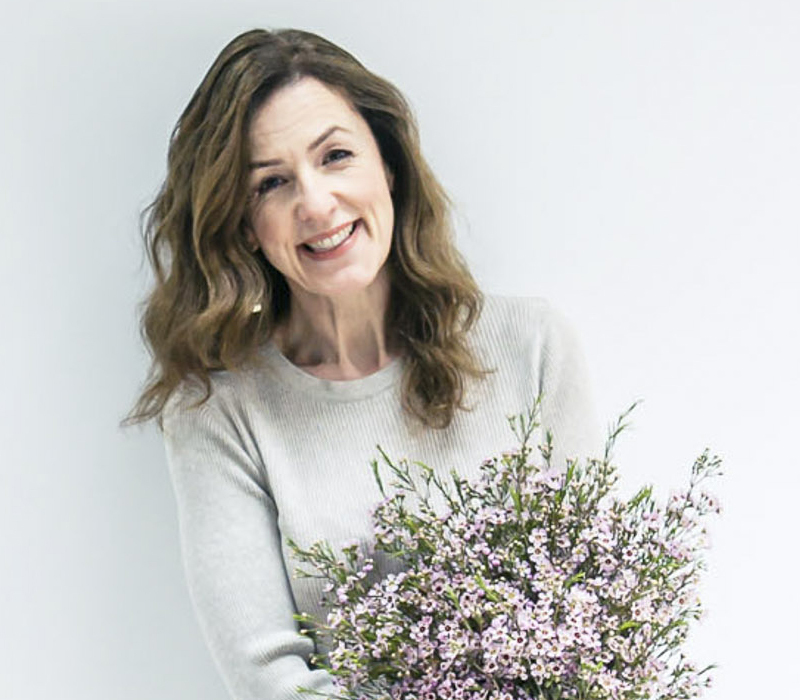 This is one of the most inspirational magazines floristry students can get their hands on in Australia at most newsagents. Having just graduated with a Certificate 3 Floristry from BNIT Grovely in Brisbane Qld ( one of the only places where floristry is now taught in Qld and having had as one of my teachers Irene Brockwell – I cannot believe how much I have learnt this past year ) I am inspired by Australian and South African native flowers and also by bright colours that literally ‘ hit you in the face ‘ and also by the different textures and forms of flowers and plant materials that are unusual . I have found much that has inspired me from your amazing magazine and keep up the fantastic work . Kind Regards and all the best for this Festive Season ! Therese ;0)! Thank you Therese for your lovely comment! I will pass it on to my contact at Wedding Flowers magazine. Many congratulations on your graduation and wishing you every success with your floristry career :-). I found the perfect look for my daughter’s July wedding in the Dec.2011 issue. My problem is that I didn’t realize it wasn’t the most recent issue. Is it possible to still get a copy of that particular one? I absolutely love this magazine!!! I’ll email my contact at Wedding Flowers magazine and see what we can do :-).